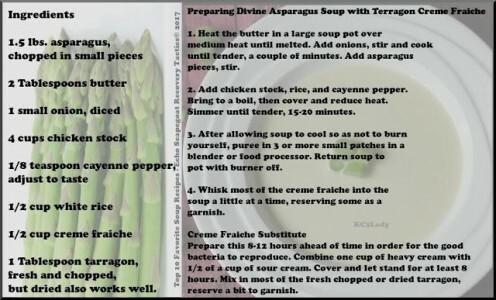 Even being quite the soup enthusiast, I had never tried asparagus soup until a couple of years ago. 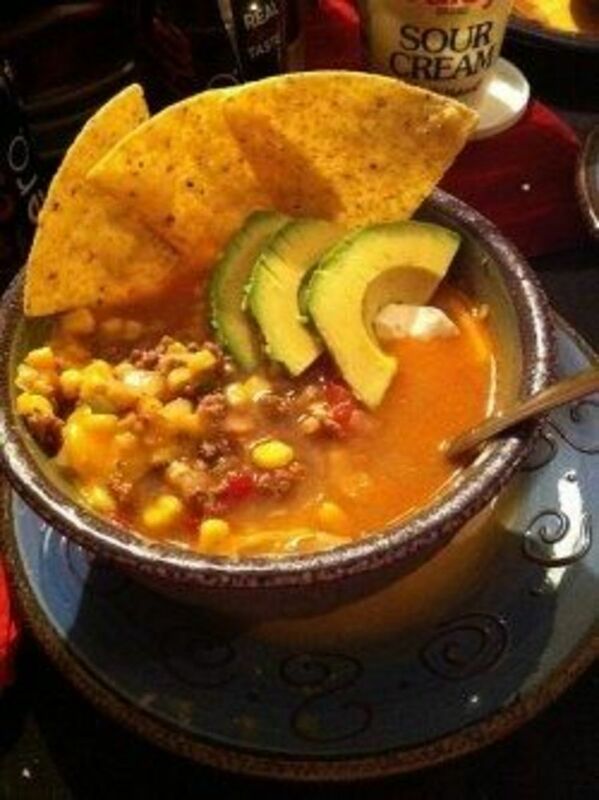 This is possibly the best soup I have ever tasted. Fresh asparagus is the best if it is available. If not, canned asparagus works well, too. The recipe calls for four cups of chicken stock. Chicken stock can be purchased in the grocery store by the can or box. You can choose to use chicken bouillon, but if you do be sure to check the label for preservatives. 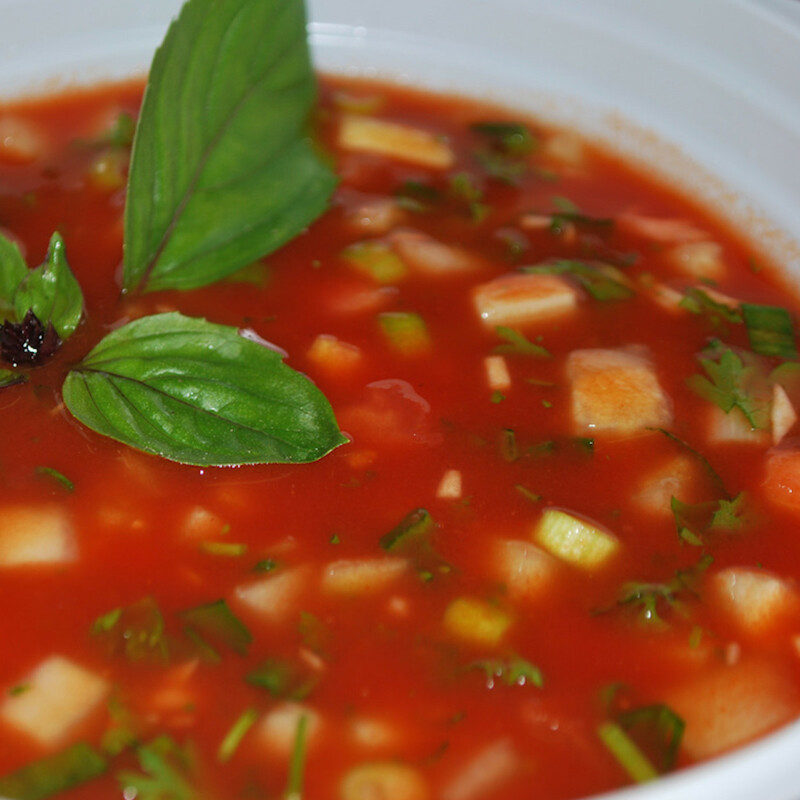 If you must use it, try to find a bouillon with the lowest amount of preservatives. The best choice of all for chicken stock is homemade. 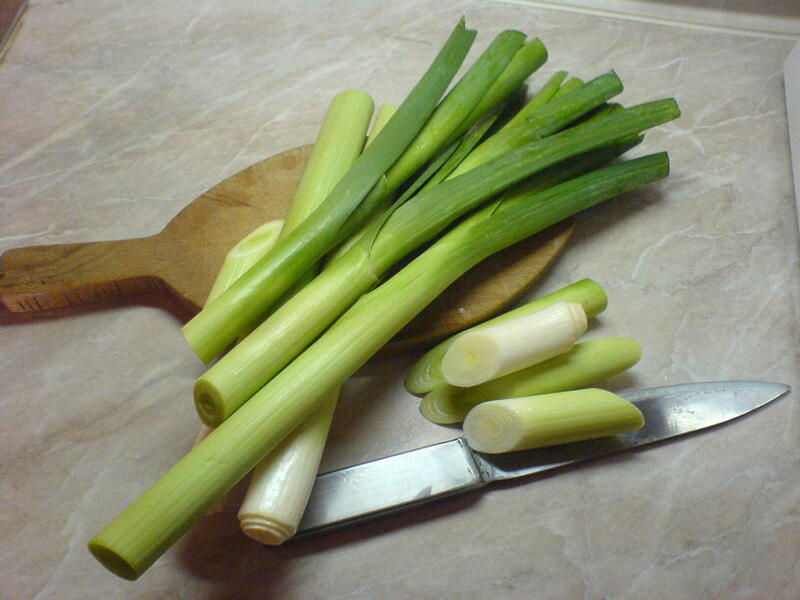 There are many recipes for homemade chicken stock, which is extremely versatile. So be sure to experiment and make the recipe your own. Making your own homemade chicken stock is something you can get in the habit of doing on the weekends, then freeze it in small portions. Then, when needed, it can be used in two cup portions or even frozen in ice cube trays for smaller portions. Once the ingredients are thickened with rice and tender, the soup is pureed, and topped with creme fraiche and chopped tarragon. 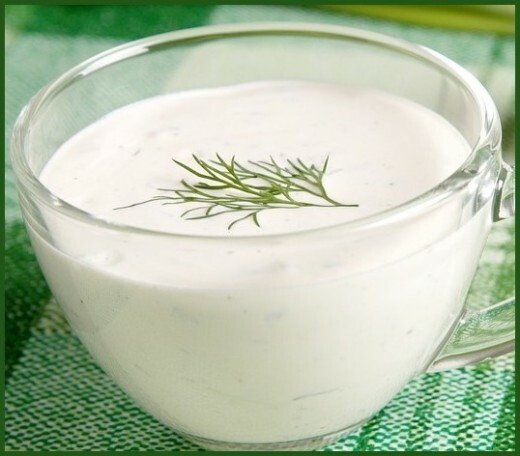 Creme fraiche can be purchased in the grocery store, but a delicious recipe for a substitution is provided. This will need to be prepared 8-12 hours prior to making the soup. Heat the butter in a large soup pot over medium heat until melted. Add onions, stir and cook until tender, a couple of minutes. Add asparagus pieces, stir. Add chicken stock, rice, and cayenne pepper. Bring to a boil, then cover and reduce heat. Simmer until tender, 15-20 minutes. 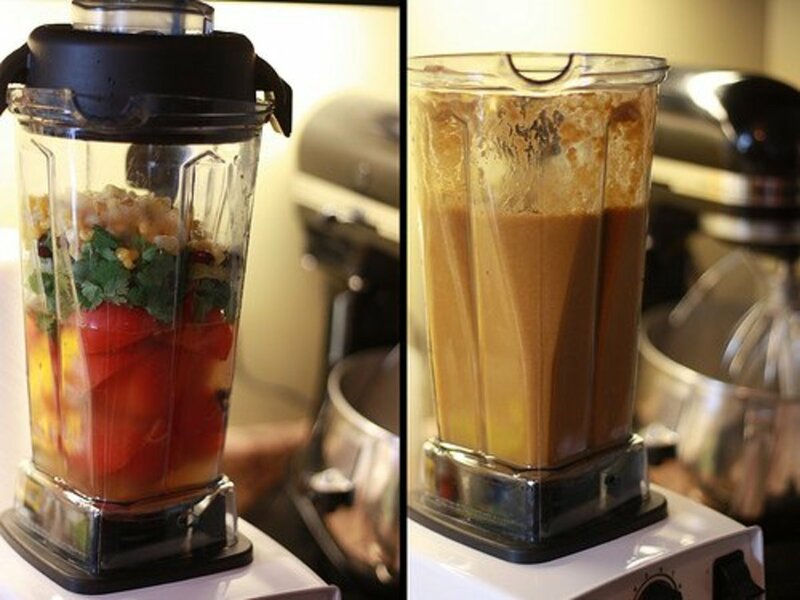 After allowing soup to cool so as not to burn yourself, puree in 3 or more small patches in a blender or food processor. Return soup to pot with burner off. Whisk most of the creme fraiche into the soup a little at a time, reserving some as a garnish. Fresh asparagus can be purchased in the produce isle of local grocery stores. If it is not available there, then it should be available in a can or jar. However, if you have never cooked with or prepared asparagus, there is a trick to ending up with the best, tender part of the asparagus, and discarding the rest. Fresh asparagus is often sold with the spears bound together with rubber bands. Remove the rubber bands and spread the asparagus spears out on a cutting board. Hold a spear lightly in your hand and feel where it naturally snaps. Snap a few of the spears as you become more confident in snapping the spears where the naturally snap. Snap all of the spears at that point, saving the tender tops and discarding the course bases. Now chop the reserved tender upper portions of the asparagus spears into small pieces. Creme Fraiche can be purchased in the fine cheeses section of your local grocery store, or the following tasty substitution is provided. 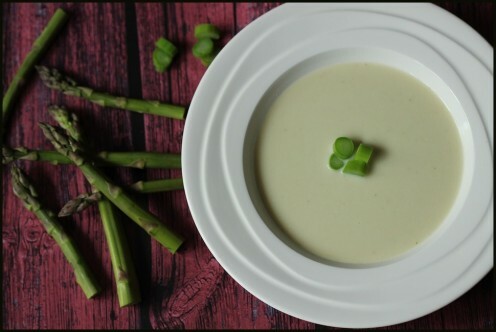 Prepare this 8-12 hours prior to preparing Divine Asparagus Soup with Tarragon Cream, in order for the live cultures to reproduce. These are considered the good bacteria! Combine one cup of heavy cream with 1/2 of a cup of sour cream. Cover and let stand for at least 8 hours. Mix in most of the fresh chopped or dried tarragon, reserve a bit to garnish. 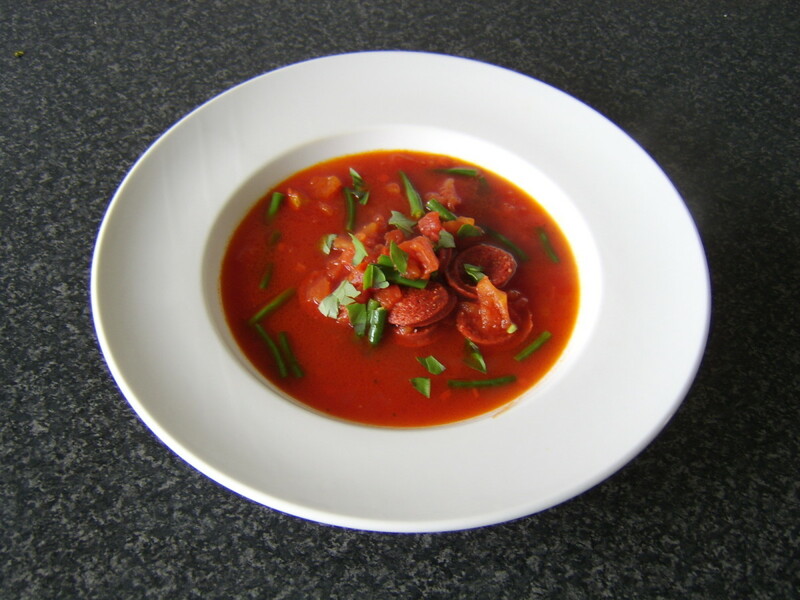 This soup can be prepared ahead of time and reheats well over medium-low heat. 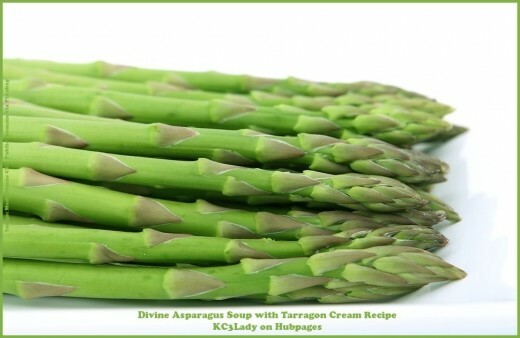 It is an absolutely divine asparagus soup recipe, topped with tarragon cream, using a creme fraiche substitution. If you like this recipe be sure to rate it, and let us know what you think in the comments.